21 George Investors is a family operated business based out of Lowell, MA. Named after a family office building located at 21 George St. in Lowell, MA, Matthew C. Donahue managed the office building for over a decade before selling it in 2014. Although the property is sold, the name lives on. Founded in 2010, Matthew C Donahue utilized his legal background to take advantage of the opportunistic multi-family real estate market created by the last recession and demographic trends by forming 21 George Investors. 21 George Investors currently operates a multi-million dollar real estate portfolio spread throughout multiple emerging markets. Matthew is a partner at Eno Martin Donahue, LLP in Lowell, Massachusetts a firm that specializes in counseling a variety of businesses and real estate investors. Mr. Donahue has been in practice for 28 years with a concentration in environmental law, land use, government regulation and business litigation. He is admitted to practice in Massachusetts and New Hampshire. Mr. Donahue founded 21 George Real Estate Investment Company, Inc. in 2010 to transition from commercial/office real estate in Massachusetts to residential apartment buildings in emerging markets throughout New England. 21 George focuses on urban centers, walkable cities, and energy innovation to give their investors a competitive return on their investment. 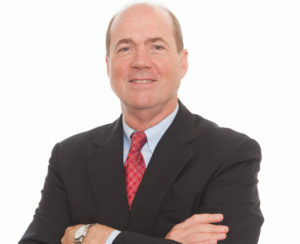 He oversees an operation of investments in three emerging markets in New England – New Hampshire, Vermont, and Connecticut – as well as holding investments in both office and apartment buildings in Florida and Texas. 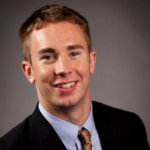 Graduated from Fairfield University in May 2013 and has been working in real estate ever since. Greg has viewed and evaluated hundreds of deals, all varying in size and geographical location. Although Greg has seen and analyzed properties in other markets, including Oklahoma City, Las Vegas, and New Mexico, his expertise is in New England where he has explored emerging markets and has located numerous paths of progress in each of 21 George’s New England target markets. Greg helps oversee 21 George’s current portfolio while actively seeking and analyzing new investment opportunities. Greg has, and continues to develop strong relationships with economic developers, brokers, and the real estate ecosystem in 21 George’s target markets. Have more questions about real estate investment, asset management or ready to get started?